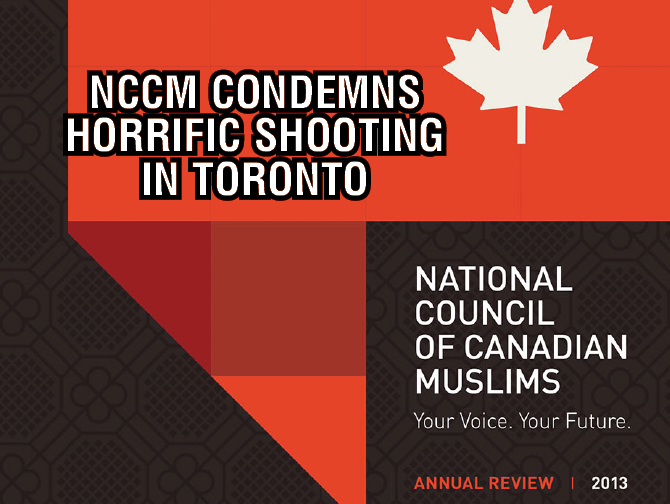 (Ottawa – July 23, 2018) The National Council of Canadian Muslims (NCCM), a civil liberties and advocacy organization, categorically condemns the repulsive attack last night in Toronto. According to police and media reports, a gunman opened fire on a bustling street in the Danforth area, shooting fifteen people. Two victims have died. Toronto Police are continuing to investigate, but have identified the shooter as Faisal Hussain. The NCCM commends the Toronto Police Service for their swift action at the scene, and praises the courage of first responders - civilians and paramedics alike - who offered critical help to those who sustained injuries.